Who is this Law For? Dr. B Umadethan analyses “Transplantation of Human Organs Act”, introduced in 1994 by the Central Government to curb the kidney business that flourished in our land. Caught entangled in the labyrinthine paths of the law many patients succumb to death as transplantation is not done in time. A few amendments were introduced in 2011. Still it is high time to redefine the purpose and execution of the law says Dr Umadethan in this column. A young IPS officer afflicted with chronic liver disease was admitted in the hospital. Liver transplantation was the only way left to save his life. Normally liver is taken from someone who is brain dead. But there was no time to wait and the officer’s wife offered part of her liver to save her husband. According to the Transplantation of Human Organs Act surgery can be performed only after getting the sanction of the Authorisation committee, consisting of doctors of Medical College and appointed by the Govt. The Committee did not meet in time, did not even consider the application. Dr. Sudheendran, the liver transplant surgeon of Amrita hospital directly pleaded with the Committee. But they did not have the goodness to meet. The Committee will meet only once in a month, they argued. Death refused to wait that long. Thripura Sundari, mother of three girls is admitted in the hospital with cardiomyopathy, a chronic disease of the heart. Within one month her heart has to be transplanted in order to save her life. The doctors decided to prolong her life with the help of machines. Frantic efforts were made by doctors as well as relatives to get the heart of some one who had suffered brain death. At this time a young man, an accident victim suffered brain death and his relatives were willing to donate his heart. But the police and forensic surgeons refused to give permission as they had to conduct post mortem examination. According to the provisions in Section 4 and 6 of the Act, organs cannot be donated if Police inquest and postmortem examination have to be performed. The heart beats of the mother kept ticking with the help of machines for forty nine days finally gave way to death. Dr. Subhadra, Asst. Director in the Dept of Health Services of Kerala and wife of cine actor T.G Ravi passed away. For the past one year she had been undergoing treatment for Haemochromatosis, a chronic liver disease, As the liver of the relative was not found matching, they found a donor and applied for permission to conduct transplant surgery. But the authorization committee that met on 5th September rejected the application as they could not accept the donor. Dr. Subhadra, broken by this news wrote a deeply moving letter to her old colleagues and that letter was also published in the papers. Sri .Ravi said that his wife would have been alive had they got permission to do the transplant surgery. Those who apply for permission to transplant organs are facing death face to face. The files pleading for life must be dealt with in a humane and positive manner, Sri. Ravi added. One evening, as usual Susan was waiting for her husband Bob to return from office. But instead she got a phone message that her husband was admitted in the hospital with brain hemorrhage. Even before she reached the hospital he had suffered brain death. The hospital authorities asked her if she was willing to donate the organs and she sought the opinion of her children. When they learnt that Bob’s organs could give life to patients on the brink of death they readily agreed. Gloria, a house wife seriously ill with liver disease, received Bob’s liver and she came back to a healthy life. His kidneys saved two patients from imminent death. Two people got back eye sight from Bob’s cornea. Thus Bob is living through these five recipients of his organs. Susan and children have become the most beloved people of their lives. They join Susan at her place on all important occasions. Historical records state that surgeries to transplant organs had been in effect since the time of Sushruta, the famous Ayurvedic Surgeon (1500 BC). But all of them must have been failures and the problem was the rejection of the organ by the recipient. Any foreign body, be it a disease causing bacteria or an organ, the body would react and make every effort to get rid of it. In 1954, Dr Joseph Murray conducted the first successful kidney transplantation. Here the donor and the recipients were twins and so the transplanted kidney was not rejected. Dr Christian Bernard performed the first heart transplant surgery in South Africa in the year 1967. The surgery was a success but the patient lived only for 19 days. The immunosuppressant drug, Cyclosporine that could prevent the body from reacting was invented in the seventies and since then organ transplantation could be conducted successfully. Modern medicine has achieved great progress in human organ transplantation surgery with the advent of immunosuppressant drugs . All organs like heart, lungs, kidney, liver, pancreas, thymus gland, cornea, skin, bone marrow etc can be transplanted. Apart from blood, living persons can donate one kidney, part of the liver, bone marrow, and skin. All the other organs can be collected only from a person who had suffered brain death. The blood group and tissue group of the donor and the recipient have to be compatible to transplant organs. Such tests are conducted before surgery. Heart, lungs and brain, the most important organs in the human body are also closely inter- dependent and known as the ‘Tripod of Life’. If the heart stops functioning the blood supply to the brain and the lungs will be cut off and they become lifeless. When lungs stop functioning brain and heart will not receive oxygen and they stop working. The centres that control the functioning of the heart and the lungs are in the brain. If the brain does not function, the heart and lungs will also stop working. Heart, lungs and other organs can function for some time even in the absence of oxygen, but brain cannot function for more than five minutes without oxygen. Firstly, the cerebral cortex is affected, the cells die forever, and can never be revocable. Knowledge, memory, thinking faculty, discretion, sensory knowledge, muscle movement are centred in the part known as intellectual brain. Once these abilities are lost, the person falls into a persistent vegetative state. If the absence of oxygen continues for more than ten minutes the brain stem is affected. The centres which control all life’s activities including the function of the heart are located in this part. Their function stops for ever. This state is known as ‘brain stem death’ or ‘brain death’. This is real and complete death. From this moment onwards each cell in the body begins to decay. Each organ has its own time to decay. Brain quickly gets damaged, but cornea can remain intact for six hours. Hence apart from cornea no other organ can be taken from the dead body to be used for transplantation. But modern equipments like ventilator and pace maker can keep breathing and blood circulation even after brain death. That ‘beating heart cadaver’ can be kept for a long time without any damage to the organs. The organs donated from this body are transplanted into the body of the recipient. There was a time when people refused to donate blood even for close relatives. But the scenario has changed. There are voluntary organizations to donate blood on emergency situations. Still there are others who are unwilling to donate blood even for one’s own father and go after professional blood donors. This tendency is more prevalent in the case of donating organs. The number of patients with liver failure and kidney failure are on the increase and according to studies conducted, diabetes, high blood pressure, addiction to liquor, use of drugs, changes in life style are some of the factors that do damage to the liver and kidney. Young people are mostly affected by these diseases and the diseased organs have to be replaced to save life. Usually organs of blood relatives are found suitable, but when such organs are not available, the patient and his relatives are forced to buy organs. Thus sale of organs gradually touched illegal heights. Mafia gangs took control over kidney business and it became a criminal activity. Some hospitals and doctors exploited illiterate villagers, submitted them to surgery and stole their kidneys. These kidneys are sold for exorbitant price and kidney rackets took shape in many states. In Kerala also poor people in areas like Idukki were fooled by kidney rackets. Only a nominal sum is offered to the donor while the agents pocket a huge profit. In countries like Iran, Pakistan and China kidney business is flourishing. One kidney costs 12000 to 15000 American dollars. But the donor does not get even half the amount. In some villages in Pakistan most people have only one kidney. It is said that in China, kidneys are removed from people condemned to death. From countries like America where kidney business is prohibited, patients arrive in the guise of tourists to countries like Philippines, China and South Africa for kidney transplantation. In these countries kidneys are available at a lower rate and the surgery also is less expensive. When kidney business became widespread in India, indignant public protested. The State Governments of Goa, Maharashtra and Himachal Pradesh requested Central Government to introduce a new bill to control nefarious activities behind kidney transplantation. 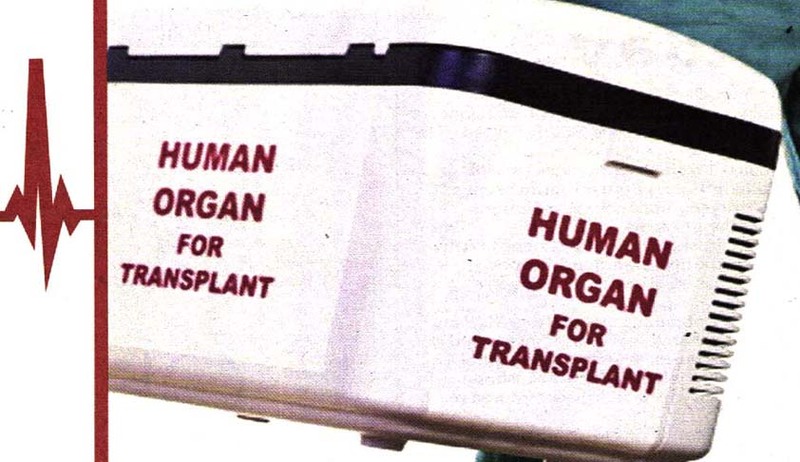 According to Article 252 of Indian Constitution, the Parliament passed “Transplantation of human organs Act” in 1994. In 1995 Central Govt. made regulations. In this law there are conditions regarding the removal of organs from living as well as dead and transplanting these on recipients. According to the provisions in the law, each state Govt. must appoint an Appropriate Authority and form Authorisation Committees. In Kerala, the Director of Medical Education is the Appropriate Authority. Based on the rules and regulations of the Act Govt. of Kerala has introduced certain guide lines regarding donating and receiving organs. At the beginning, there was only one committee, but now there is one authorization committee on the state level and five on district level. It is the responsibility of the Appropriate authority to see that the hospitals conducting transplantation of organs do have all the facilities recommended by the Govt. and give them registration. Organ transplantation surgeries and the follow up treatment must be carried out flawlessly and Appropriate Authority has the right to look into this, consider the registration of the hospital and take decisions on the complaints regarding the activities of the authorization committees. The authorization committees formed by the Govt. consider the applications requesting permission for organ transplant surgery. A joint request by the donor and the recipient has to be made in the prescribed form. All medical records and records showing relation must be submitted. The committee has to be convinced that donation is made not for money but on humanitarian grounds. Elaborate interviews and enquiries have to be conducted before giving permission. Even if the donor and the recipient are husband and wife, there should be legal documents as evidence of their relationship. Central Govt. has included the provision that in metro cities and in other big cities, in hospitals that conduct more than 25 organ transplant surgeries, authorization committees can be formed. But Govt. of Kerala has not accepted this provision, though it could have helped to speed up the procedures for organ transplantation. Central Govt. has directed to include two senior citizens (one should be a woman) in the state-district level authorization committees, but this instruction has not yet been carried out. In state authorization committee two respected senior citizens, Dr. Babu Paul and Sri Cherunniyoor Sasidharan Nair have been included. But there is no woman representation. In district authorization committees there are no senior citizens. Health Secretary or his nominee, Director of Health Services or his nominee and two senior medical practitioners of the district have to be members of the committee. This direction has also not been followed. 1. An individual can execute a will to donate his organs after his/her death. This should be prepared in the presence of two witnesses ( one should be a close relative). If the will has not been made invalid during his/her life time, after death, his/her inheritors can help the doctors to remove organs from the dead body. 2. The heir has the right to donate the organs of the dead person even if he/she has not made a will. But if other relatives have any objection, or if the deceased had ever expressed disapproval of donating organs while alive, the organs cannot be taken. 3. The doctor who has received consent letter should ensure that the person has suffered brain death before removing the organs. A panel of four expert doctors should examine the body of the donor to ascertain and certify brain death. 4. In deaths that require a police inquest, permission cannot be granted to remove organs from the dead body. 5. In unnatural deaths, when autopsy is required, if any organ is not required for postmortem examination, that organ can be donated. 6. In the case of a living donor, he can donate his organs only for a close relative. 7. Out of love, obligation, or because of altruism, a person can donate organ to a recipient who is not a close relative. But the authorization committee formed by the Govt. has to give sanction. The amendments passed by the parliament in 2011—good or bad? Introducing certain amendments in the Act of 1964, the Parliament passed a Bill in 2011.It has yet to be declared as law. One of the amendments is that along with human organs, human tissues are also included in this law. Apart from Authorisation Committee, the State Govt. should form an Advisory committee also. High officials, expert doctors, legal experts, two social workers and one representative of the voluntary organizations working in this field should be members of the committee. Their duty is to advise (?) the Appropriate Authority. In the amended law there is provision to give Appropriate Authority the rights of a Civil Court. Any person can be summoned for questioning to collect evidence about violating the Organ Transplantation Act. Orders can be issued to produce evidence. Search warrant can be issued to inspect places where unauthorized organ transplantation is alleged to be done. But these powers are only to collect evidence. There is also the provision to give special status to hospitals that treat critically ill patients with terminal diseases as Human Organ Retrieval Centers. In such hospitals a transplant coordinator shall be appointed to co ordinate the procedure for donation of organs. This officer or doctor in the critical care can get information from the relatives of the patient about any will signed by the patient about donating organs after death. If there is any such document, these should be collected and the HOR centre should be informed for further procedures. If no such consent letter has been given by the patient, the relatives can be made aware of donating organs and also of the right to accept or refuse. This new section of the law would do more harm than good. The relatives who are praying for the lives of patients in critical care unit would get suspicious if they are approached for donating organs. But after brain death has occurred, relatives can be made aware of donating organs and saving other lives. If they are willing, relatives can be paid part of the money they had spent for treatment, or to meet funeral expenses. It is a welcome move that experienced technicians are given the right to remove cornea from the dead body. The unavailability of doctors can cause delay that will damage the cornea. The most important amendment is granting legal validity to mutual organ transplantation. For example, the donor A’s kidney is not suitable for his relative B, C’s kidney is not suitable for his close relative D. If A’s kidney is suitable for D and C’s kidney is suitable for B, the organ transplantation can be allowed. Father Chiramel and Sri Kochouseph Chittilappally (role models for humanitarian work) have started a kidney donation chain and their endeavours have been given legal validity by this amendment. The new law directs to create a centre to collect and preserve human organs and human tissues on state level and national level. It is also suggested that Central Govt must begin a registry to record the details of donors and recipients for scientific study and analysis. But the feasibility of this system is not discussed in the law. The law also has the provision to a fine of 20 lakhs and 10 yrs imprisonment for those who indulge in unauthorized removal of human organs in any hospital. Those who are associated with the illegal removal of human tissues (cornea belongs to this group) will get a punishment of 3 years and a fine of Rs 5 lakhs. If the accused is a doctor, his name will be removed from the Medical Council register for 3 years. Similarly those who make up false documents to prove that the donor is a close relative will get10 yrs imprisonment and a fine of Rs 1 crore.The severe punishments included in the law would no doubt discourage people from committing criminal activities. But what seems odd is that according to section 22 of the Act no court can take a case directly unless a complaint is lodged by Appropriate Authority. We have to bear in mind the fact that what is lacking and deficient in the law leads to illegal activities in human organ transplantation. It is the scarcity and unavailability of suitable organs that leads to illegal organ business. Let’s consider the availability of cornea. A living person cannot donate his cornea, and it cannot be artificially created. It can be made available only from dead bodies. The individual might have given his consent to donate his eyes after death, but his close relatives might object to the removal of the eyes from the dead body. We are not willing to respect the last wish of the person. In Kerala about 50,000 unnatural deaths take place every year. If atleast half the number of corneas are made available from the dead bodies ,every one in Kerala, suffering from blindness due to disease of cornea will get back eye sight. In our state every year more than 3000 people die in accidents. Half of them die in critical care units of various hospitals undergoing treatment with the aid of equipments like ventilator. When brain death occurs to those patients, if the relatives give permission to remove organs from the dead bodies many who are awaiting death will get new life. Section 4 and 6 of the Act pose a hurdle even when consent is granted for transplantation of organs. In the case of death by accident, inquest and postmortem examination are essential. In such cases according to the above sections permission is not granted to remove organs. But in Tamil Nadu some exemptions are granted. A certificate including a detailed statement of the organs removed must be handed over to the doctor who is doing postmortem examination. This practice can be followed in Kerala also. It is the bottleneck of the authorisation committee that torments the donor and the recipient more than the shortcomings of the Act. Originally there were only three authorization committees. But to avoid delay five such committees have been formed. Principals of Medical Colleges in Trivandrum, Alappuzha, Kottayam, Thrissur and Kozhikode preside over the committees that consider the applications for organ transplant surgery and give permission. These committees meet only once in a month and that also is not definite. Sometimes it may take 11/2 or 2 months. In the past the committee used to meet only once in 3 months. It seems to be an unwritten law. There is a long period of waiting for the permission of the committee even to donate an organ for a close relative. Even though the committee is informed that death is imminent, they will not meet(eg: scene 1). Recently in the ‘Nammal Thammil’ programme of Asianet TV Channel , the grief of the relatives who had lost their dear ones due to delay in getting permission was heart rending. What is the problem of the doctors who work under the same roof cannot sit in the committee for one hour to save the life of the person facing death? Who has decided that the committee should meet only once in a month? Has the Govt. given such an instruction? There is no doubt that this procedure is a violation of Indian Constitution. Organ business should be curbed. There should be stringent laws and criminals should be punished. Article 21 of Indian Constitution provides a citizen the right to life and this right to life are annihilated by the delayed action on the part of authorising committees. These ivory tower committees have to answer for each life put out by their delayed response. All over the world, every year 10 lakhs of people overcome death through organ transplant surgery. Since 1980, many countries have introduced presumed consent in the case of donating organs and that means every one is willing to donate his organs. If he is not willing, that fact would be noted in his driving license. Such a person will not get the organ of another person even in an emergency. To receive organs one should be willing to donate organs. There is no scarcity of organs in most of the European countries where this system is prevalent. In Spain that has a population of 4.5 crores, organs are sufficiently available. The consent letter to donate organs, given during one’s life time cannot be cancelled by relatives in countries like Austria. Countries like Spain concentrate on collecting organs from victims of brain death. There is a centralised system to collect organs from such donors and distribute these to suitable recipients. Hence organs are easily available to the needy. In the amendment of 2011 there is a suggestion to establish such a centralised system on the State level and National level. In our state there is the possibility of getting organs from victims of accidents who have suffered brain death. In most cases victims are young people and organs will be healthy ones. After brain death relatives can be approached for donating organs on humanitarian grounds. Govt. should have schemes to encourage those who are willing to donate organs. As in Tamil Nadu legal hurdles can be overcome in the case of unnatural deaths about removing organs. Govt. must seriously consider about introducing presumed consent. The consent letter could be marked in driving license or adhar card. A great deal of sensitization is required to popularize the concept of donating organs. Fear and anxiety of people regarding donating blood has been removed by sensitization programmes. Laws are for man and it is the method of application that causes harm to society. Organ transplant surgery has to be done with out delay when life has to be saved. Precious life should not be entangled in red tape and indifference. In emergency permission for surgery must be granted immediately. The request for organ transplant can be examined later for irregularities and action can be taken. There should be a system to monitor and evaluate the functioning of authorization committees. In emergency situations, the committee should be directed to meet and there should be clear guide lines regarding their function. However, a rethinking and redefining of the Human organ transplantation Act and its implementation cannot be postponed.